Hande Erçel is known to audience from the Turkish series "
Güneşin Kızları ~ Guneş ", where she played the role of Miss Selin Yılmaz. The beautiful actress will give life to the character Hayat Uzun Sarsılmaz. Burak Deniz has become a popular actor in Turkey due to his role of "Aşk Laftan Anlamaz". Burak will play as Murat Sarsılmaz. 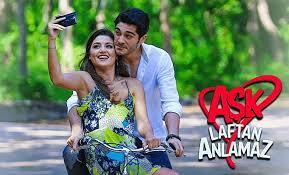 The "Aşk Laftan Anlamaz" series relating a story of impossible and an ardent love. Murat is a successful young businessman, responsible and devoted to his family but his stepbrother is irresponsible and likes to live his life by having fun, it's like his mother, Derya. Nejat Sarsılmaz Derya's husband is the owner of a multinational textile company and when seeing how irresponsible the little son is, he decides to withdraw from business to influence his second son to follow his and Murat footsteps. Derya is responsible for the education given to her son and with the decision of Nejat, she realizes that the irresponsibility of her son will bring Murat at the head of the Sarte company. Derya has to take attitude from now on and finish with the son's fondlings. Azime Sarsılmaz, the grandmother of Murat and Doruk, warns her son that the decision to withdraw from the company's management will motivate Derya to want the company for her son and make the two brothers argue. Hayat Uzun is a complete, very ambitious and stubborn girl who wants much more from life than parents can offer her. She gave up her hometown of Giresun, a province of Turkey, and moved to Istanbul with Aslı and İpek in favor of a prestigious university. But because she did not find a job after graduation, her mother Emine at the wish of her husband comes to Istanbul to take her home. Hayat lives in the house of Fadik, his mother's sister, to whom she asks her help to convince Emine to let her go to a job interview otherwise her father will take her back to Giresun. While Hayat desperately searches for a taxi to get an interview for a multinational textile company, she meets Murat, whom had a car breakdown and is about to take a taxi to get to the holding. The motivation to stay in Istanbul makes Hayat no longer aware behavior. She wants that taxi then starts to insult Murat who is amused of her naivety. During the interview, Murat's assistant thinks Hayat is Suna Pektas, who was promised the job being the daughter of Nejat's closest friend of Kemal Pektas. The destiny causes the lift to fail and Hayat being claustrophobic makes a panic attack and asks Murat to help her. Murat offers his help and takes her in his arms and Hayat calms down. Didem has been working as the model and is the image of the Sarte brand for over five years. She and Murat were lovers and after partying sometimes he allowed her to accompany him on vacations, But Didem still hopes to be loved by Murat and feeds daily with Obsessive love to him. As time passes things starts to change, then Murat with Hayat fall in love. Lovers spend beautiful moments together but apparently, the relationship of them seems impossible, many obstacles appearing in their way and their love is put to a great deal. Everyone, including Murat remains indifferent to Hayat's true identity, who is helped by İpek to convince Suna to not discloses her secret though she stole Suna's identity. Meanwhile, Murat's stepmother finds Hayat's real identity and reveals the secret. 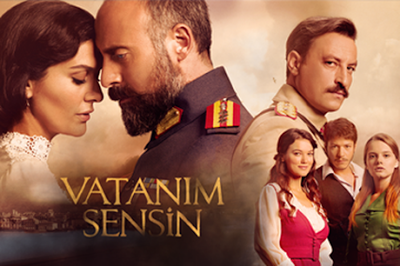 Murat is destroyed when he finds out that the woman he loves one has lied. He was trying to remove Hayat from his life and the company. If you liked this article, give it a liking and share it with your friends too! 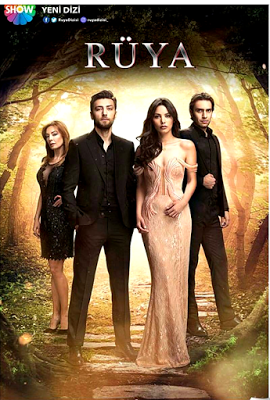 Presenting Turkish TV series - Aşk Laftan Anlamaz - Love cannot be understood by words The "Aşk Laftan Anlamaz" series relating a story of impossible and an ardent love. Murat is a successful young businessman, responsible and devoted to his family but his stepbrother is irresponsible and likes to live his life by having fun, it's like his mother, Derya. Hayat Uzun is a complete, very ambitious and stubborn girl who wants much more from life than parents can offer her. She gave up her hometown of Giresun, a province of Turkey, and moved to Istanbul with Aslı and İpek in favour of a prestigious university.